Whenever we post an interior photo on Instagram, we’re bound to get the question…” what paint color is that? !” And we get it. 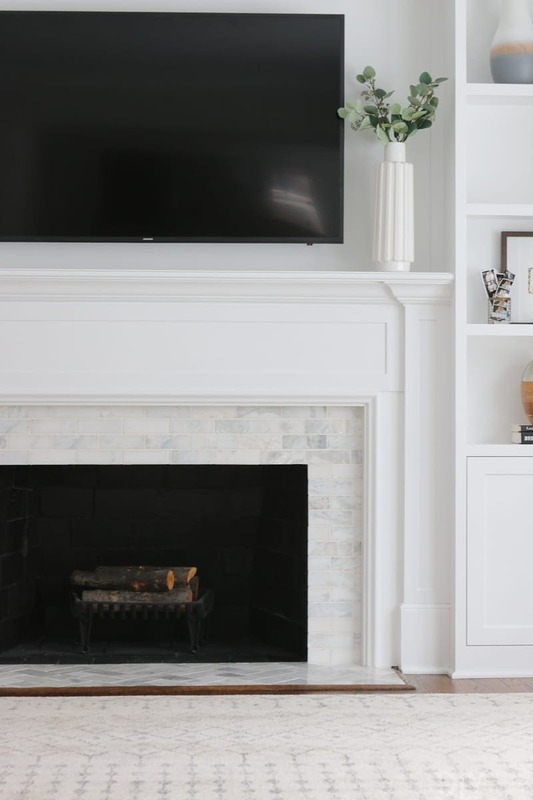 Choosing the right paint color for your home is tough (in fact, we have a whole post on how to make the process easier right here), and seeing a color in a real home is always a good idea before you paint all of your walls. 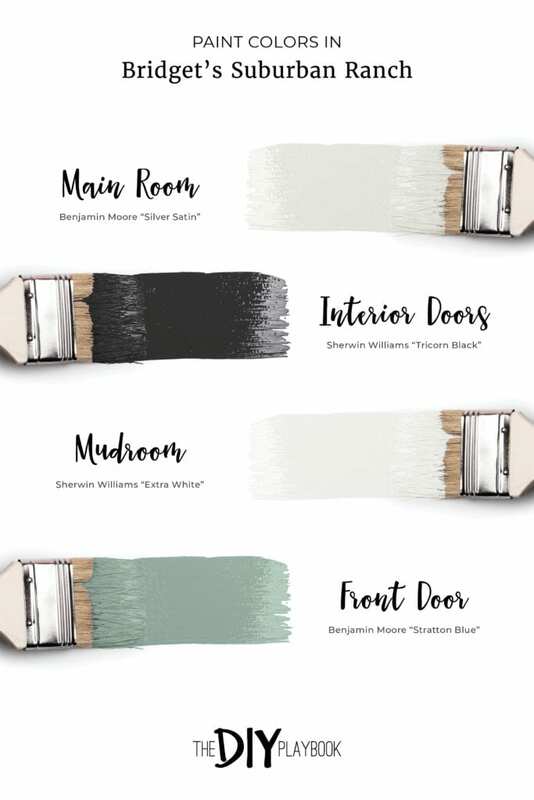 And while we never mind answering that question, we thought it would be beneficial to have a blog post dedicated to all of the paint colors we have in our homes. 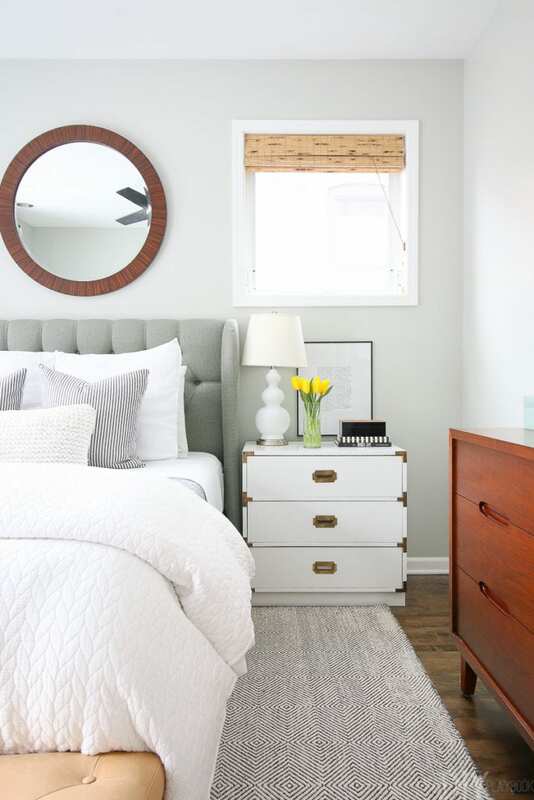 Consider this to be our list of favorite neutral paint colors! 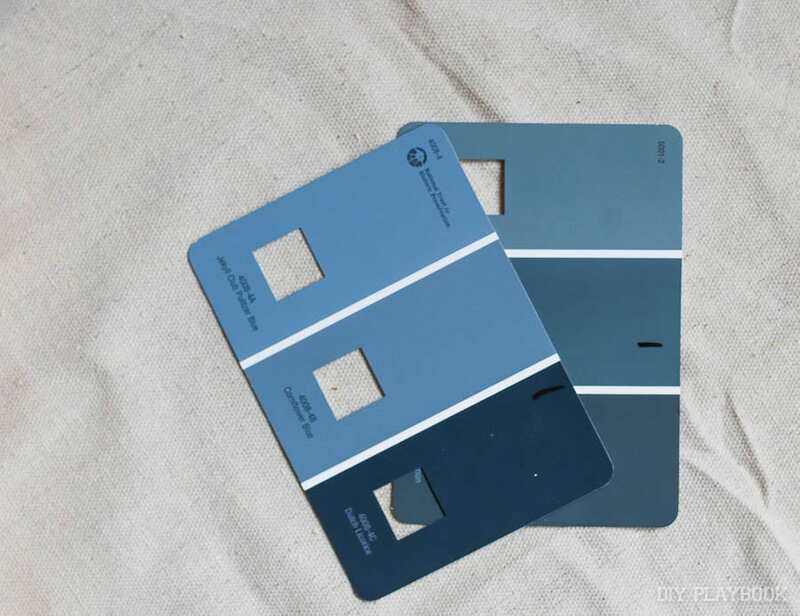 Now we can always point people to this post if they have specific questions about the colors throughout our homes. 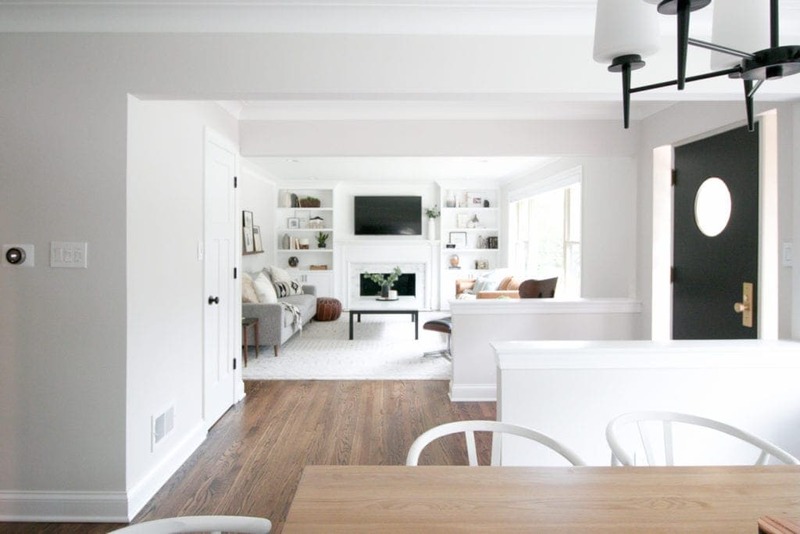 We rarely show photos of Bridget’s old home here on the blog anymore (you can always check it out over on this page), but we did want to include all of those paint colors in this roundup. So let’s take a walk down memory lane and check out her old crib. Revere Pewter was such an interesting color in our first house. It’s a greige that read more gray during some parts of the day and at other times of the day, it read more beige. So crazy! I loved the color, but because of its chameleon tendency, it’s a color I would highly recommend testing and watching at all different times of the day before committing. 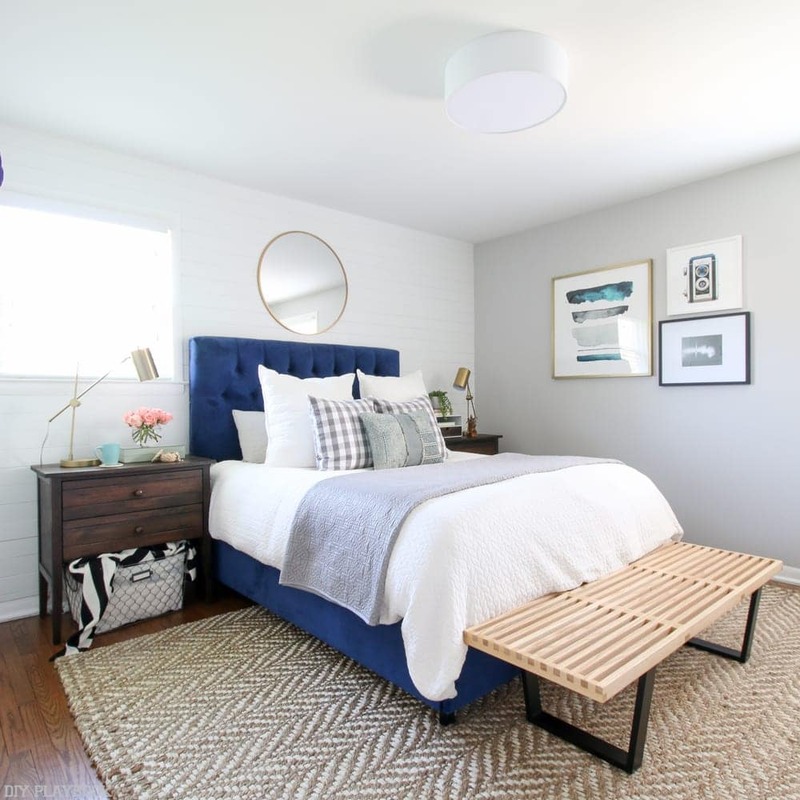 When we painted our bedroom, we were on the hunt for the TRUEST gray we could find and Valspar’s Filtered Shade fit that bill. 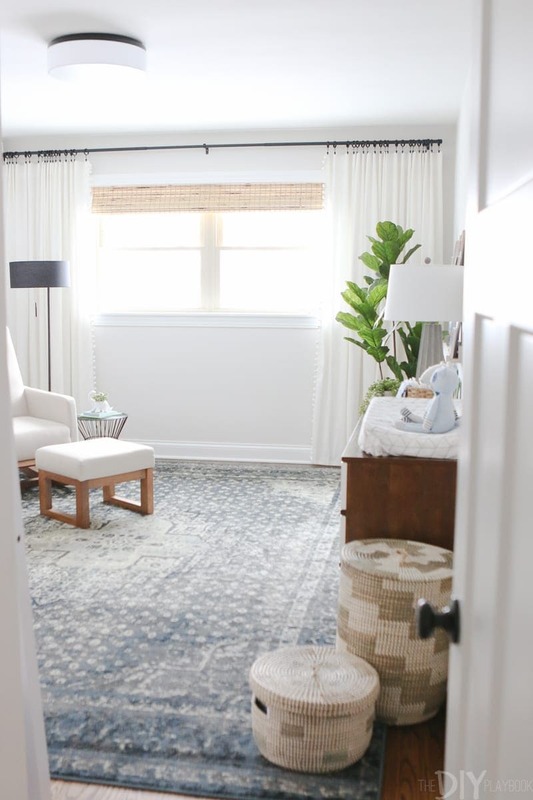 I loved it because it looked like a true gray in this space with a TINY undertone of cool tones. We added white shiplap to our bathroom and wanted a darker color next to the shiplap to add contrast. 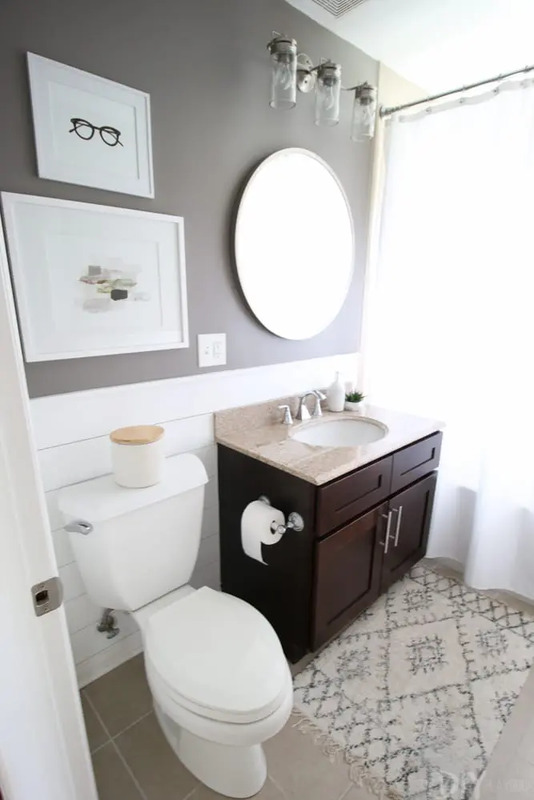 This bold greige was perfect and played well with the tan tile and dark brown vanity. I felt like it was the grayest I could go without making the beige tile (ugh!) stick out like a sore thumb. For that reason, I really loved this color! Trying to create a light and bright space in this small office, we opted for Behr’s Falling Snow. 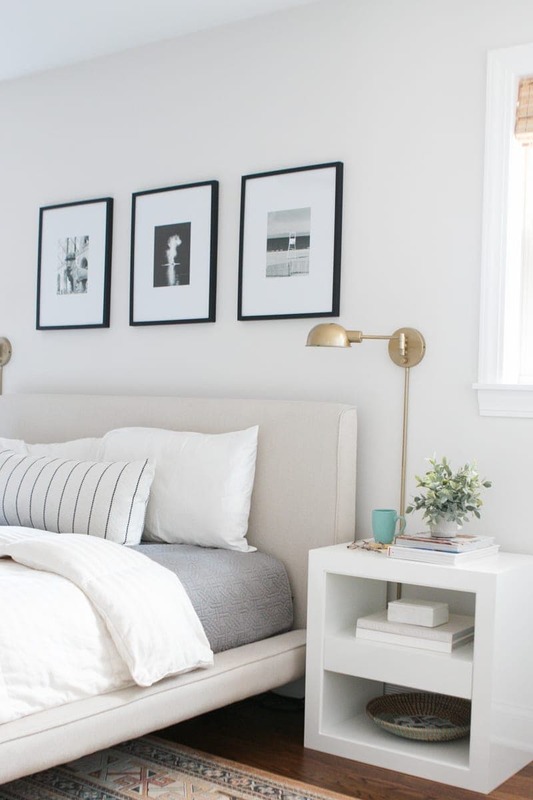 We tested out a lot of shades of white paint but ultimately decided on this one. Note to others, this white does have a subtle yellow undertone, which I wasn’t in love with. 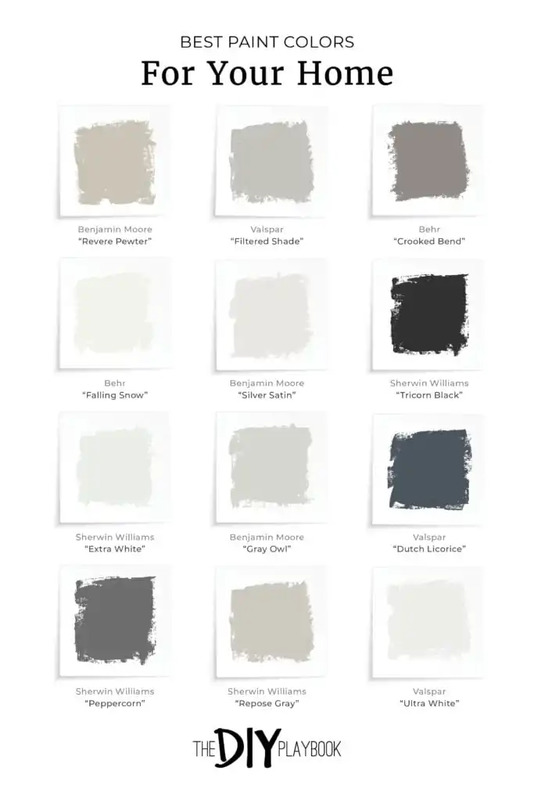 But it is a good white to choose if your trim and doors aren’t freshly painted, because it doesn’t make them look like they’re dirty (like other bright white paints might). 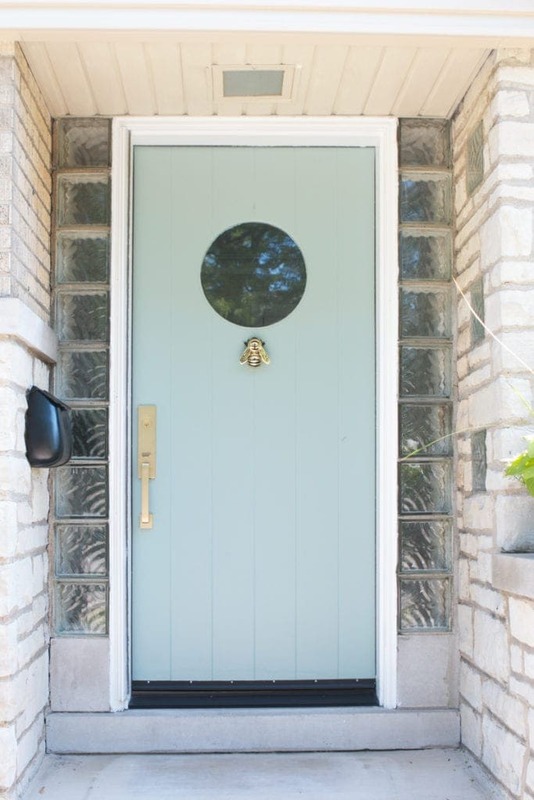 I loved this door color so much, we ended up painting the exterior and interior of this door Covington Blue. 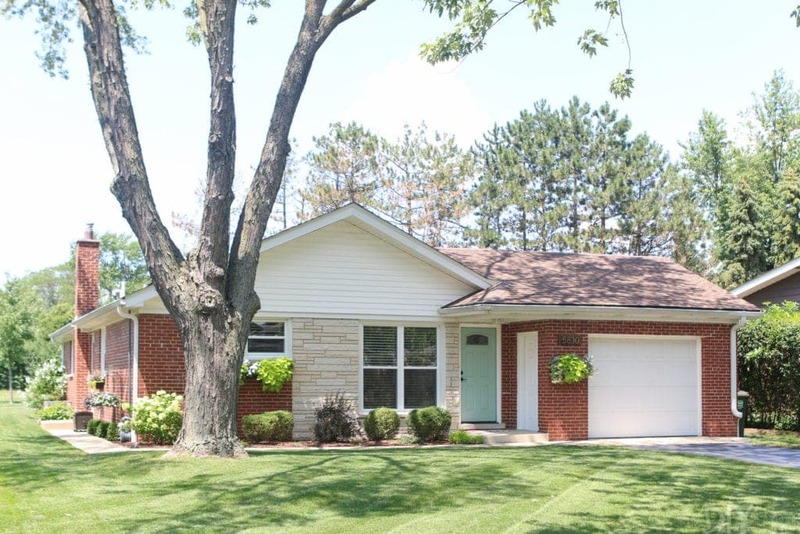 It was the perfect pop of color both inside and outside and instantly upgraded our curb appeal. When we moved in, we put a fresh coat of paint on every wall in our new condo. Our bedroom was originally lime green (eek) and the rest of the home was a light blue (not totally our style). Fresh paint instantly revitalized every room! Both our master bedroom and the main room in our house is painted in Benjamin Moore’s “Gray Owl.” This is by far one of my favorite light gray paint colors. It’s a true gray and has a slight blue undertone (but not too blue!) and it looks great in our well-lit rooms. This dark navy is just the dreamiest. I was sooooo nervous to go this dark and this bold in our home, but I’ve never looked back. 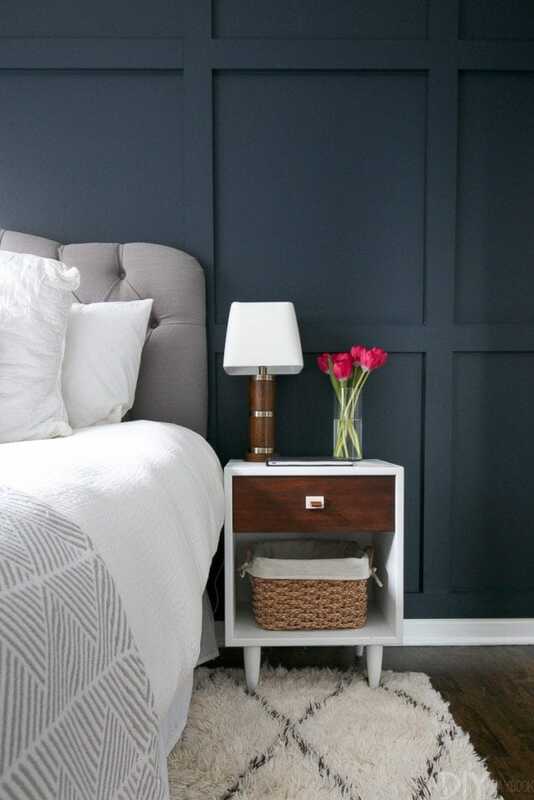 A gorgeous dark navy paint color that I still adore years later! I’m also very happy with our chose of the color “Peppercorn” in our guest bathroom makeover. 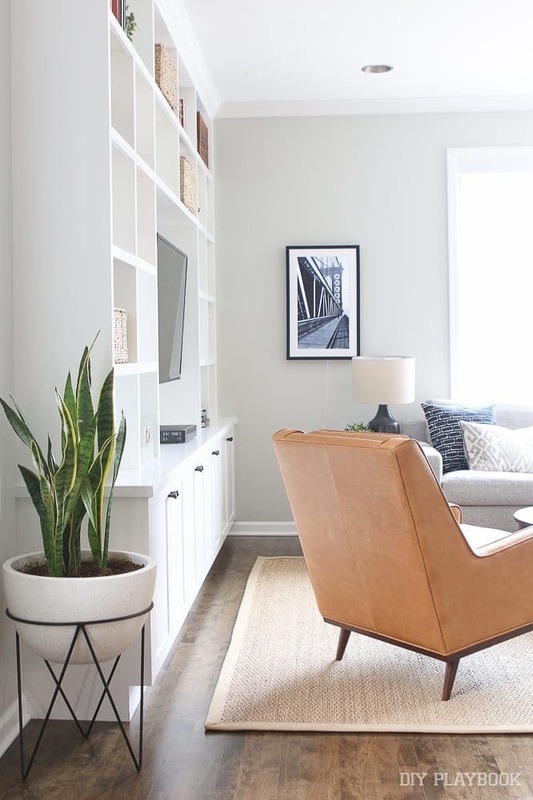 This dark gray paint color pops against all of the white in the space and I just love how it turned out. 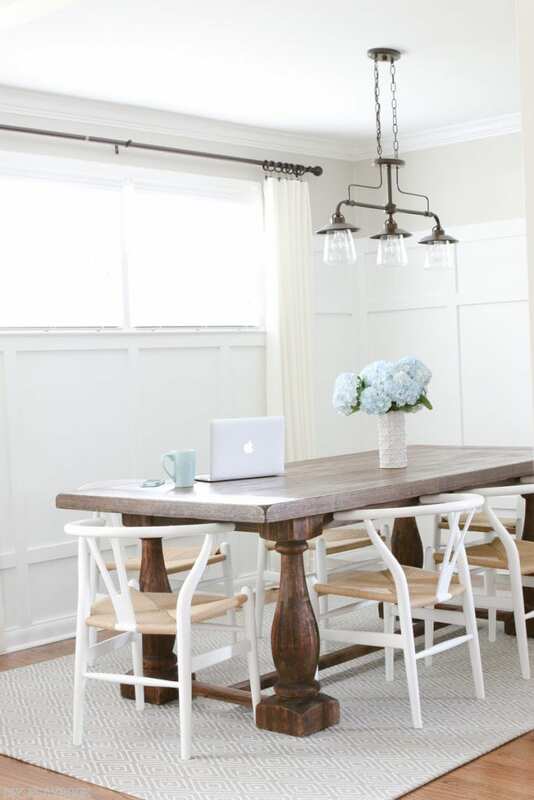 Here’s more scoop on painting this small space. 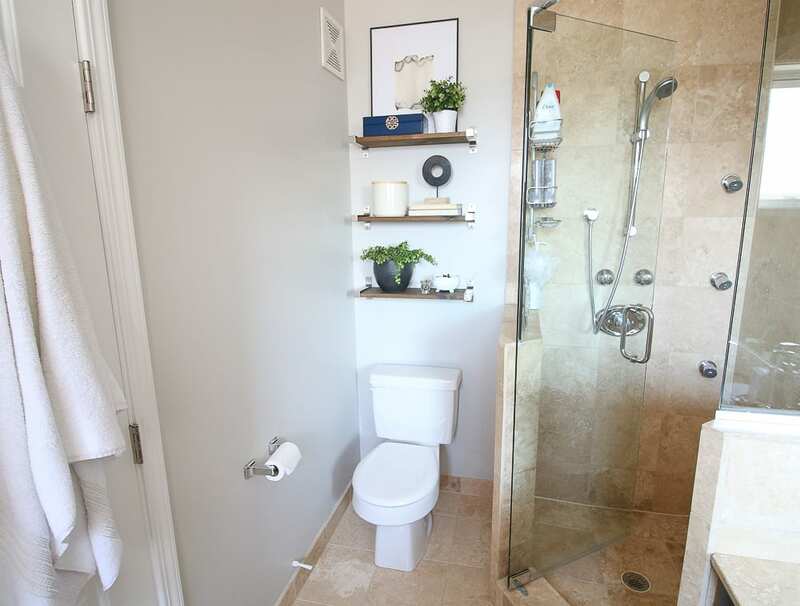 I rarely post photos of our master bathroom on here, so I had to dig this old one up of our DIY shelves over the toilet. 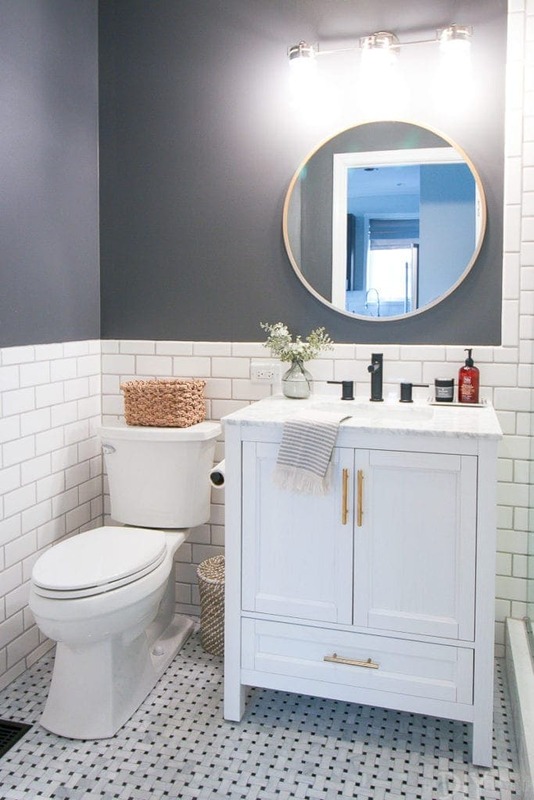 We painted this bathroom the color “Repose Gray” and I think it’s a good one to go with tan tile. I tried a few other samples of gray paint in this room before painting, and they all seemed too cool next to all of the beige. This color has a nice warm undertone so it pairs well with all that tan! 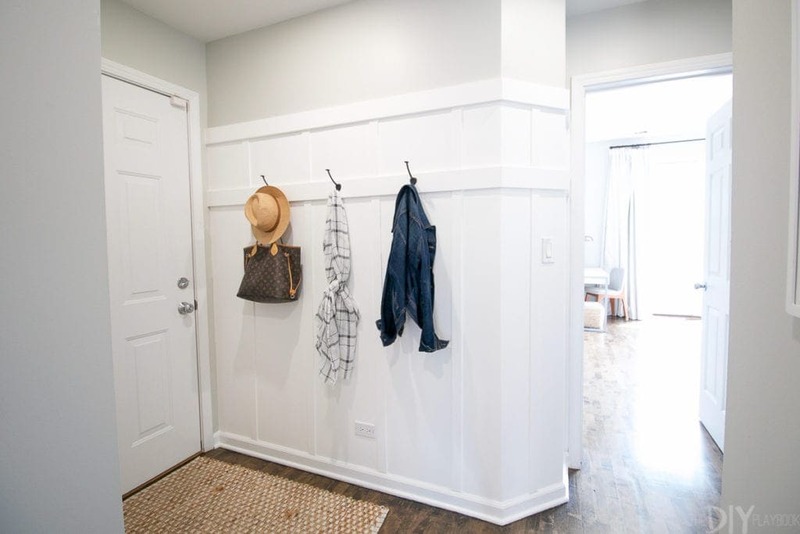 When we added the board and batten to our little hallway (which I’m obsessed with! ), I had to paint the bottom portion of the wall white. I went with the color “Ultra White” by Valspar and it’s holding up really well. Some areas get a little scuffed sometimes, but it’s nothing that a little magic eraser can’t tackle! I think it’s a good bright white that really lightened up this area of our home. Almost our entire house is painted in Benjamin Moore’s “Silver Satin” because I loved the airy feel of it. 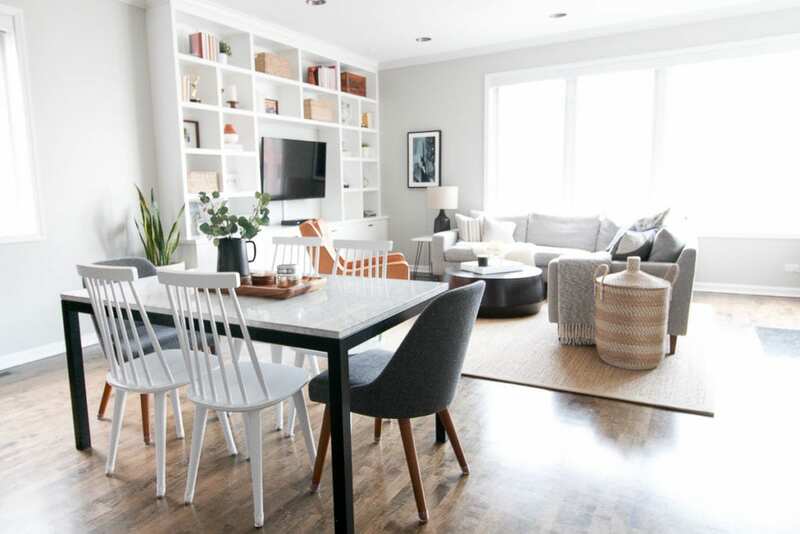 It only offers a tiny hint of color and encourages the home’s decor to be the star of the show, rather than the paint color. That was my goal when I chose the paint color. 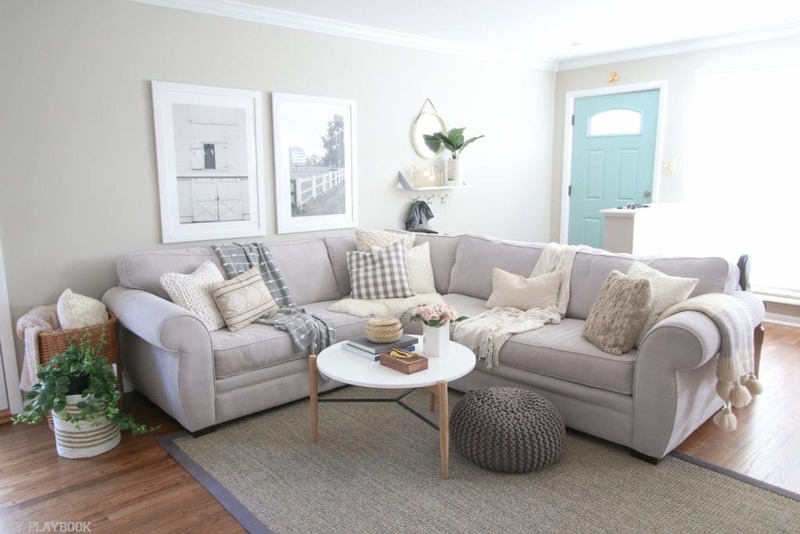 I wanted a color that would match with EVERYTHING while still keeping each room super light and airy. 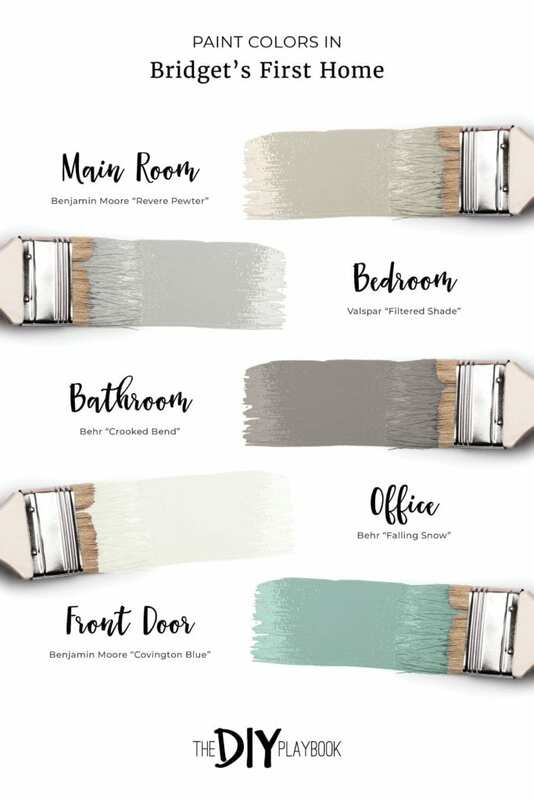 Benjamin Moore’s “Silver Satin” did just that! As for as I’m concerned, “Tricorn Black” is the perfect black. It’s a pure black without a ton of undertones. If anything, it airs on the side of cool, but that’s a stretch because to the naked eye I feel like it looks BLACK. 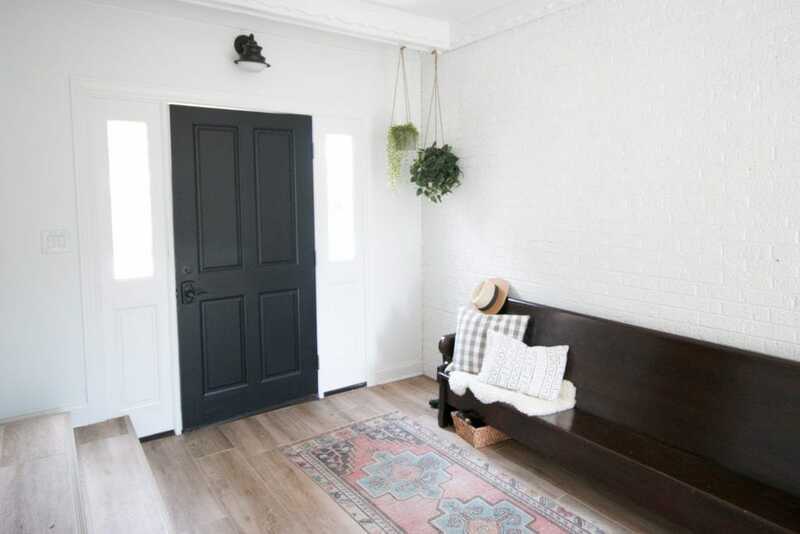 We loved it so much in our mudroom, we painted the interior of our front door this color and our garage door too! And just like tricorn is to the color black, extra white is to the color white. I love how PURE white this looks on the brick in our mudroom. 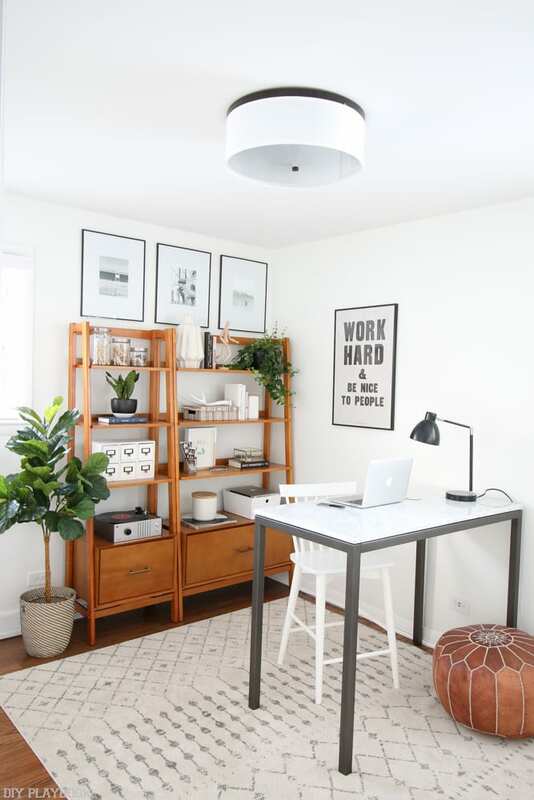 Unlike my old office, this white is brighter, cleaner looking, and doesn’t have any obvious undertones. However, I would be careful using this to paint a wall if you have trim or doors that haven’t been painted in a while. You may be surprised at how “yellow” your doors/trim look with this fresh coat next to them. And last but certainly not least, everyone needs a pop of color on their front door, right?! I didn’t want to do blue again in our second house, but this “Stratton Blue” is what played the best with our brick color. It’s not as bright as “Covington Blue” and has more creams in it, which makes it work perfectly with the cream brick. Plus, I love how it looks with the brass hardware! 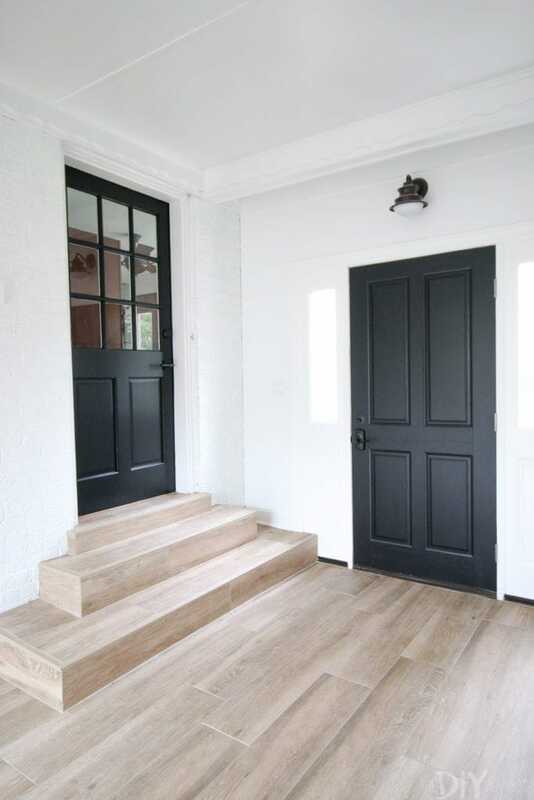 If you’re painting your front door, check out this post that walks you through the steps to get the perfect finish. So there you have it, a comprehensive guide to some of our favorite neutral paint colors! For those of you who have been around awhile, this is probably much of a review. Thank you for sticking around! And for those newbies who are tuning in and knee deep in one of the hardest DIY decisions of. all. 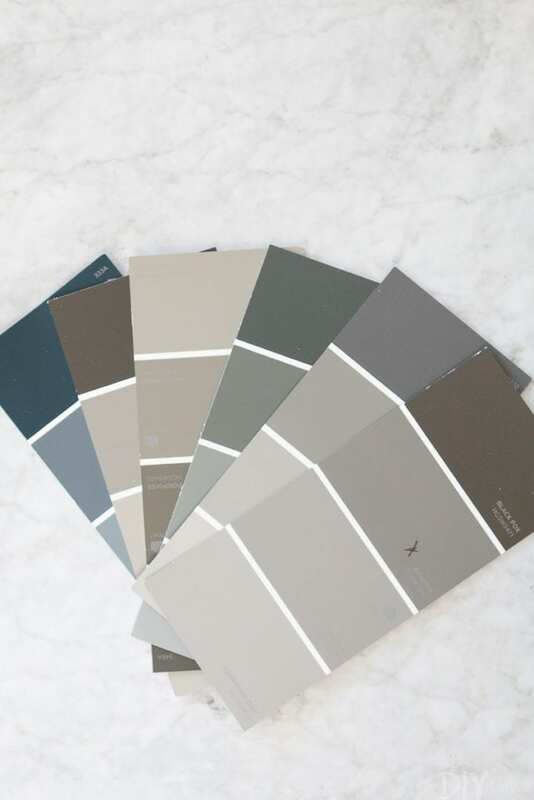 time, choosing the perfect paint colors, we feel your pain and hope this helps! 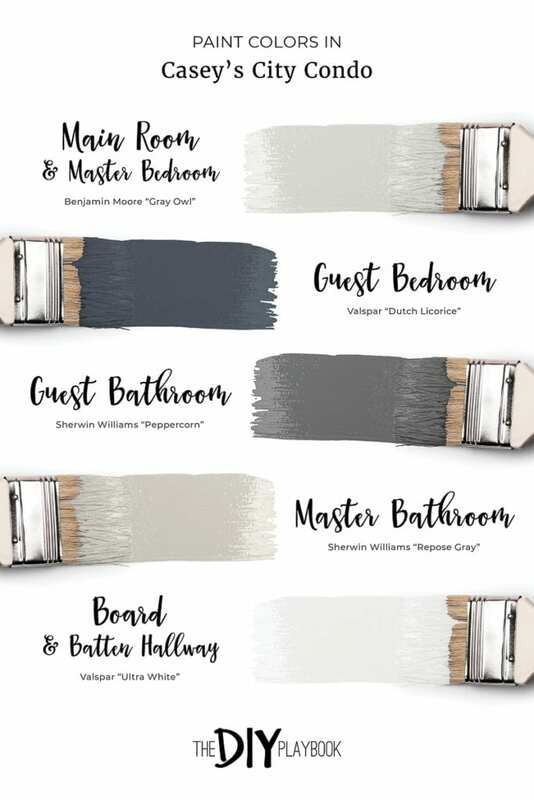 Oh, and if you want to check out more blog posts about paint colors..check out this comprehensive post with everything you need to know about paint.